Melania chose avant-garde decorations again this year, citing a patriotic theme and lining the halls of the White House with large, bushy red trees. 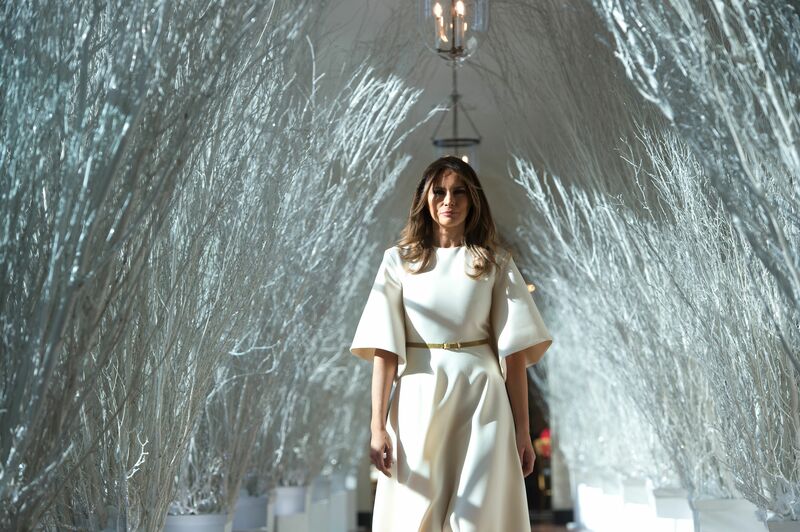 The Washington Post published an article Monday criticizing Melania for skipping the press preview of her decorations, and noted the backlash about her “spooky Christmas decorations” and “scary and ominous” trees. Other media members, such as MSNBC’s Chris Hayes and Mic’s Emily Singer, compared the Christmas decorations to the famous scene from “The Shining” where blood pours down the halls of the Overlook Hotel. We spend so much time talking about Donald Trump being the worst president we barely even discuss Melania Trump being the worst lady in our nation’s history—snobby, rude & with garbage Eurotrash taste in everything. I am legitimately angry+appalled by her Christmas decorations. Maybe Melania’s choice of Christmas trees is a quiet plea for help? Y’all, it’s that time of year!! And, by “that time of year,” apparently @FLOTUS means The Purge.